Skim milk, graham swirl (graham crumbs (enriched wheat flour, graham flour, sugar, peanut oil, brown sugar, honey, salt, natural flavor), confectioners sugar, sunflower oil, canola oil, salt, natural flavors, cinnamon), soluble corn fiber, milk protein concentrate, strawberry base (strawberries, cane sugar, water, natural flavor, corn starch, fruit and vegetable juice (for color), citric acid), organic cane sugar, cream, eggs, erythritol, vegetable glycerin, whey protein concentrate, acacia gum, natural flavor, sea salt, organic carob gum, organic guar gum, organic stevia leaf extract. Skim milk, peanut butter swirl (roasted peanuts, sugar, peanut oil, salt), soluble corn fiber, milk protein concentrate, organic cane sugar, cream, eggs, erythritol, vegetable glycerin, whey protein concentrate, acacia gum, high fat cocoa, natural peanut flavor, sea salt, organic carob gum, organic guar gum, organic stevia leaf extract. 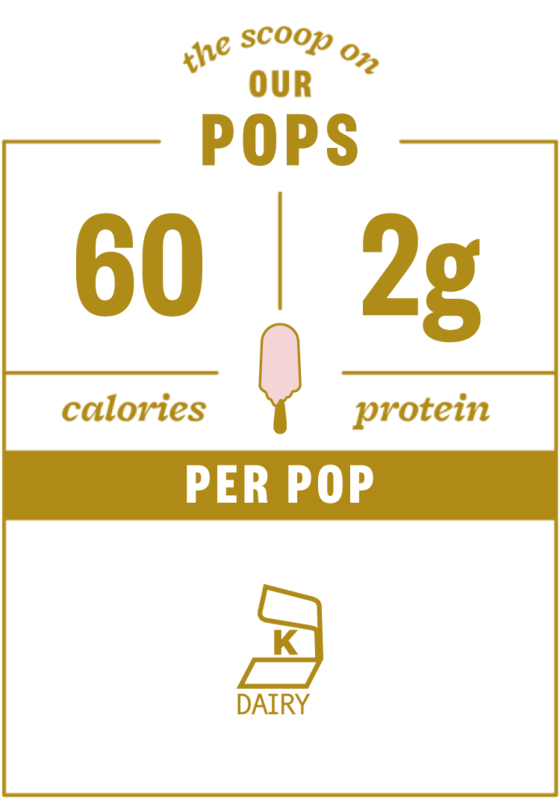 Skim milk, chocolate chips (cocoa liquor, sugar, cocoa butter, milk fat, vanilla extract), soluble corn fiber, milk protein concentrate, organic cane sugar, cream, eggs, erythritol, vegetable glycerin, natural flavors, whey protein concentrate, acacia gum, sea salt, organic carob gum, organic guar gum, organic stevia leaf extract. Skim milk, cookie dough swirl (sugar, peanut oil, wheat flour, brown sugar, butter (cream, salt), salt, natural flavor), soluble corn fiber, milk protein concentrate, organic cane sugar, cream, eggs, erythritol, vegetable glycerin, chocolate chips (cocoa liquor, sugar, cocoa butter, milk fat, vanilla extract), whey protein concentrate, acacia gum, sea salt, natural flavors, organic carob gum, organic guar gum, organic stevia leaf extract. 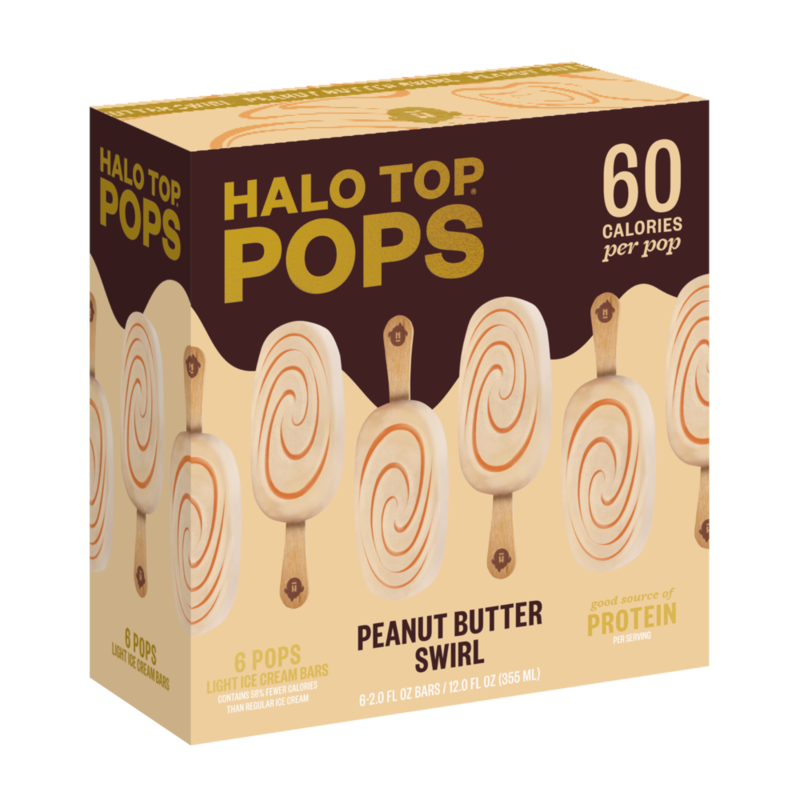 TO FIND halo top pops? JUST CLICK THE BUTTON BELOW AND CALL AHEAD TO MAKE SURE YOUR LOCATION CARRIES US.